Gorgeous two story home in this the prestigious Bridgeway Island neighborhood is now available for rent! . This is a stunning home with lots of gorgeous upgrades with wood floors, open floor plan, crown molding, larger kitchen with a breakfast bar and lots of cabinets for storage space. 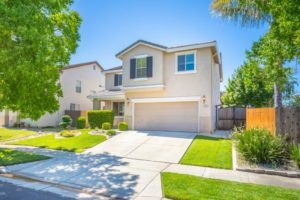 This home has a very open feel to it from the minute you walk in the front door with the spacious living room, that opens up to the family room and kitchen area. There is a half bathroom located downstairs, very convenient for guests. All 3 bedrooms are located upstairs along with a huge bonus space. The master bedroom has a wet bar and large walk in closet. There is a spacious backyard with a covered patio, perfect for entertaining family and friends! Click on the link below to be notified when the home is available to view.